gentlyfalling – "We read to know we are not alone." This year, I am going to restart Cannonball Read. A whole new year, without getting bogged down in exhaustion and sadness. And with this review, I have made my half Cannonball. I had intended to go one over to make up for last year’s unavoidable failure, but no luck. However, this is a fun book to go out on. 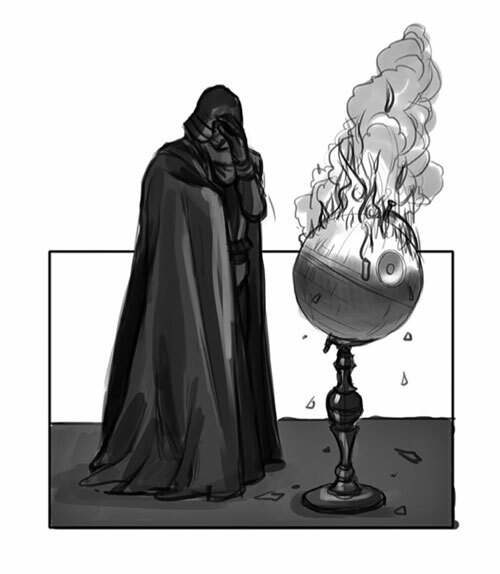 Ian Doescher has loved both Shakespeare and Star Wars for many years, as he describes in the Afterword. He discusses how George Lucas drew on the research of Joseph Campbell in refining his original story, incorporating the archetypes used repetitively throughout history into his space opera. Of course, many of those archetypes are well represented in Shakespeare’s works. Doescher also points out that Shakespeare and Star Wars are both pervasive in Western culture, with both being very quotable and readily referenced. All of this combined to inspire Droescher to write William Shakespeare’s Star Wars, which is really quite fun. It is just so perfect. 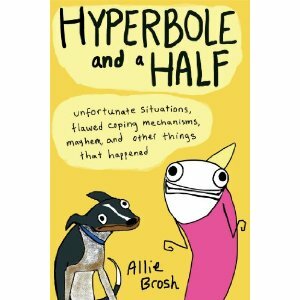 The book was well done and so much fun to read, easy and amusing. It was a great way to end my 2013 Cannonball Read. I have read a lot about this graphic novel over the years, and finally picked it up while travelling in a city with a comic book shop. 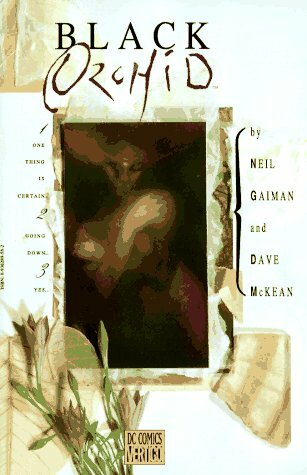 I love Neil Gaiman, I love Dave McKean, but I just did not love this book. I did not know very much about this one prior to buying it, and I actually really loved the beginning of the book. We are introduced to a conference room full of villains, and one of them is gradually revealed to be the Black Orchid. She is a crime fighter with some interesting powers, and the whole scene is quite mysterious and intense. Black Orchid seems to have been killed by the end of that scene, and it seems like the kind of thing that would take, although the reader knows the series namesake can’t be gone for the entirety of the book’s run. It was a very strong opening, shocking and intriguing. After that great opening, the story seems to get convoluted and a big vague. It felt experimental, with a few really strong vignettes accompanied by an attempt to try and slot in some characters from other series (eg. Lex Luthor, Swamp Thing). 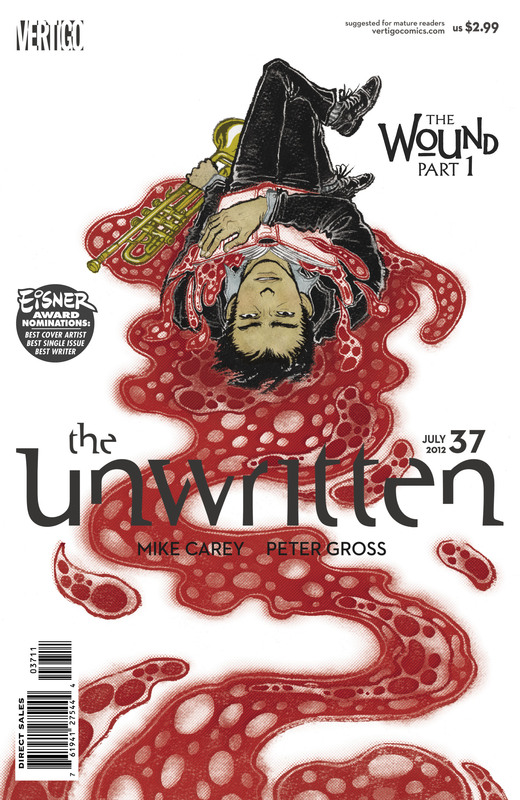 I did not have any strong feelings about any of the characters, despite the story being quite sad overall. The art is quite lovely, and I enjoyed the addendum of the notes from the editorial staff about the original story proposal. It certainly wasn’t a terrible book, but I had high expectations, and was a bit disappointed. 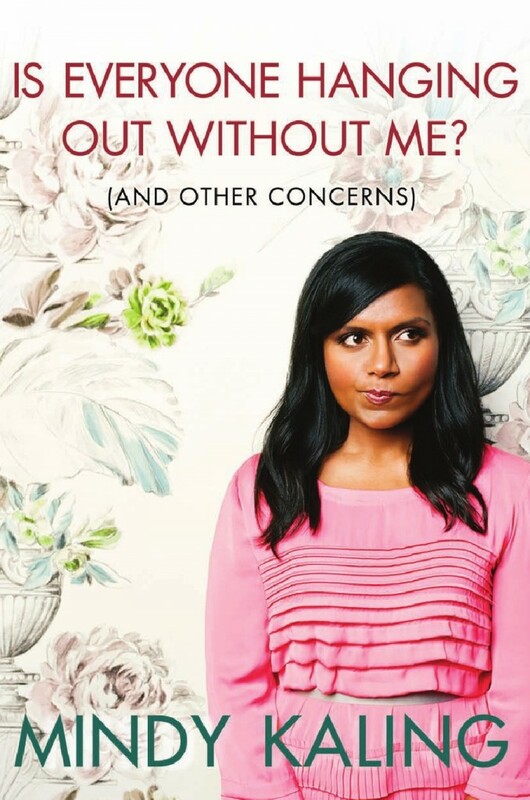 So, I realize I am a little late to the party with Mindy Kaling’s book, but it turns out I have a lot of self control in terms of buying books, except when it comes to airports. This was an impulse purchase for my return trip from California, and it was another good pick. Of course, I had remembered all the positive reviews on Cannonball Read, so it wasn’t really a big risk. I am really only familiar with Mindy Kaling from The Office, and some interesting interviews that I had read. I have not yet watched The Mindy Project, but I might give it a shot now, given how much I enjoyed this book. I do not generally consider myself a regular reader non-fiction or biography, but I have had kind of an interesting run of comedienne’s books lately – Tina Fey, Rachel Dratch and now Kaling’s Is Everyone Hanging Out Without Me? While I seem to have identified most with Kaling, all of them seem to grow up as smart, nerdy kids who didn’t really seem to fit in anywhere until adulthood. That is similar in many ways to my own experience, although I did not end up in comedy, obviously. Kaling seems to have revealed a lot more of her childhood and adolescence here, with the humour a bit more gentler, perhaps. She just seemed like the friends I had growing up – not particularly popular, obviously going someplace, and with fun if esoteric interests. Kaling also discusses her comedy career in this book, as did Fey and Dratch, and they have all had varying success. It seems to me that all of them are kind of struggling to find a career in what seems to be a male dominated industry, which is also something that seems familiar to me. In my workplace, there are many women in middle management, but very few females above that level. It seems very strange to me, and I would be curious to know about Kaling’s experiences are in working on her own show and how they would compare with Fey’s. None of the three authors directly address working in an environment dominated by males, but that may be related to where they currently are in terms of their career. Of course, I am not working in anything remotely entertaining, but it is something that interests me. Kaling’s book is warm and funny, and I particularly enjoyed how she spoke of her friend and family with such obvious love. The occasional pictures are fun, and the book was certainly a perfect read for a airplane.